Because of a rainstorm, we had Movie Time with our grandchildren on Sunday. It included big pillows on the floor, fresh popcorn, a fire in the fireplace and the Disney movie Aladdin. 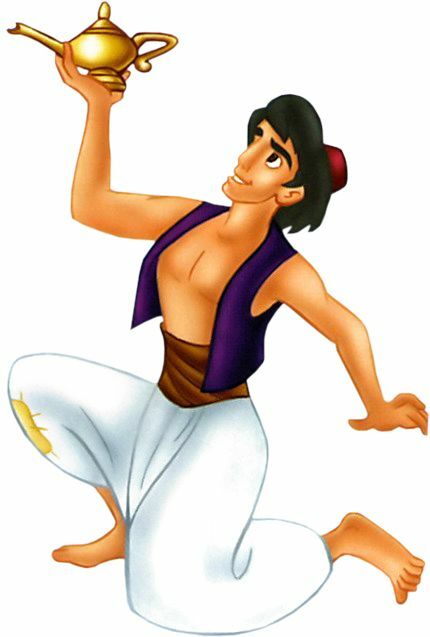 There is no way I can watch Aladdin without thinking about Clay Aiken. I can hear him in my mind as he performs the song Proud of Your Boy. A few days ago, I read a wonderful interview with Alan Menkin, the man who is said to be the musical genius of Disney productions. Besides writing the music for The Little Mermaid and Beauty and the Beast, Alan wrote the music to Aladdin. Question: Do you have any favorite memories from all your work with Disney? Answer: There’s so many, but I remember when we went in and they were re-releasing “Aladdin” (on DVD) and we went in and did “Proud of Your Boy” with full orchestra. It only existed as a piano vocal demo for like fifteen years, and then Danny Troob came back to do the orchestration and Clay Aiken came in and they started playing this song. You could feel it, it felt right out of what we had done for “Aladdin,” I was emotionally blown away. The song, Proud of Your Boy was an important song to the staff of Aladdin. It was written by Howard Ashman and Alan Menkin, the composing duo who also wrote the music for The Little Mermaid and Beauty and the Beast. The song focused on Aladdin’s relationship with his mother and Ashman said that it was his favorite song in the film. In the middle of Aladdin’s production, Howard Ashman died of AIDS. It was a difficult time for all involved in Aladdin. It must have been even tougher for Alan when the decision was made to take the mother out of the story. The cut meant taking Proud of Your Boy out of the film that Alan had become very attached to since the death of his friend. On September 30th, 2004, Clay Aiken attended the release party for the Aladdin (Disney Special Platinum Edition) DVD. His friend Amber Nix accompanied Clay to the event. He walked down the “Blue” carpet and chatted with the press. Inside the theater, Clay performed the song Proud of Your Boy. I loved today's post. Thanks for the opportunity to revisit all those videos. "Proud of Your Boy" is still one of my all-time favourite Clay songs. I have that Aladdin DVD. Bought it just for Clay's song of POYB on it. Just watched it again. I have always loved how Clay sang that song. My daughter just adores it. I love how Alan Menkin said that is one of his fondest memories. If I remember correctly he shed a little tear after Clay sang it. Thanks for putting that video up again. POYB is totally Clay at his best He really sounds great and really captures the emotion of the song. I too am blown away by Clay's outstanding vocal performance of "Proud of Your Boy." Error: Error validating access token: Session has expired on Tuesday, 21-Aug-18 16:13:01 PDT. The current time is Monday, 22-Apr-19 07:29:01 PDT.